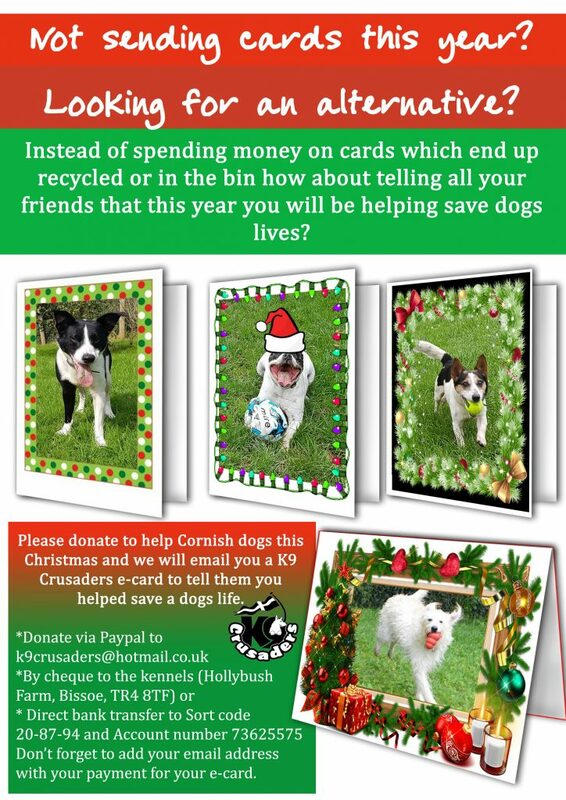 Cards can be sent to you to post on your social media or you can send one to a friend as an e-card. Just supply the name and email address of the recipient when you send your donation. 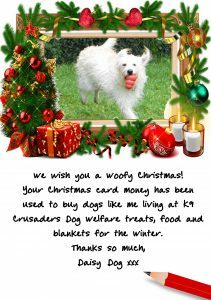 Here is an example of what you can receive, featuring one of the current kennel dogs picture and a personalised message from them for you or a loved one.